Jet Airways, the Indian airline, said effective Sept. 10 it will consolidate its twice daily services between North America, Brussels and India on two North American gateways: New York's Newark-Liberty International Airport and Toronto's Pearson Airport. Daily flights from and to each airport connect in Brussels with Jet Airways flights to and from Delhi, Mumbai and Chennai. 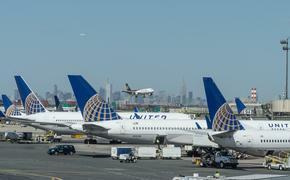 Jet Airways' passengers formerly booked to and from JFK will be automatically switched to Newark-Liberty flights. Jet Airways currently operates a fleet of 99 aircraft, which includes 10 Boeing 777-300 ER aircraft, 12 Airbus A330-200 aircraft, 57 next generation Boeing 737-700/800/900 aircraft and 20 modern ATR 72-500 turboprop aircraft. Flights to 75 destinations span India and beyond, including Abu Dhabi, Bahrain, Bangkok, Brussels, Colombo, Dammam, Dhaka, Doha, Dubai, Hong Kong, Jeddah, Johannesburg, Kathmandu, Kuala Lumpur, Kuwait, London (Heathrow), Milan, Muscat, New York (both JFK and Newark), Riyadh, Sharjah, Singapore and Toronto.